Save AED 0 (0%) Earn 60 Shukrans What is Shukran? Shukran is the Landmark Group’s award-winning loyalty programme in the Middle East, which allows you to earn Shukrans when you shop any of our brands. Lightweight and high in performance, this hair dryer is ultra-convenient to use every day. The folding handle makes it suitable for travelling and storage. 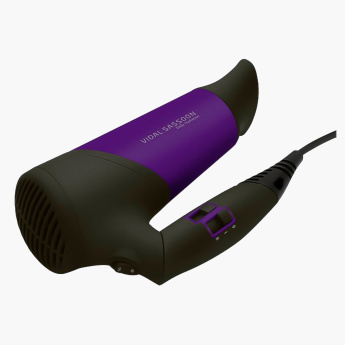 It brings you styling power with an ionic generator for reduced frizz and leaves your hair looking glossy and healthy after you blow dry and style.